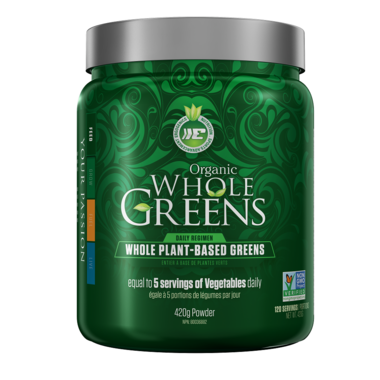 Ergogenics Nutrition Organic Whole Greens Powder is derived from organically-grown, nutrient-dense green superfoods. It's freeze-dried RAW to prevent nutrient loss, resulting in a broad spectrum of nutritional benefits. Free of pesticides, fertilizers, GMO's, and the use of solvents. Ingredients: Spirulina (Spirulina Platensis), Moringa (Moringa Oleifera), Chlorella (Chlorella Vulgaris), Kale (Brassica Oleracea Var.Viridis), Barley Grass Juice (Hordeum Vulgare), Wheat Grass (Triticum Aestivum), Alfalfa (Medicago Sativa), Broccoli Floret (Brassica Oleracea Var. Italica), Cabbage (Brassica Oleracea Var. Capitata), Spinach (Spinacia Oleracea), Wakame (Alaria Esculanta), Matcha Green Tea. This is the first green I've found that doesn't contain any migraine food triggers. Most contain nightshades, citrus and dark skinned fruits which can be problematic for some migraineurs. It also doesn't have much of a taste so is easy to incorporate into drinks, smoothies etc. It is now the only one I will purchase and it is Canadian!